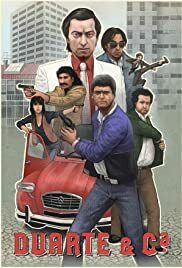 An entertaining and comical detective series featuring over-the-top stories, spectacular chase scenes, and hilarious villains. funny stereotypes... The good guys are detectives always triyng to solve strange cases with the help of a automated european Citrõen 2Cv car !! !